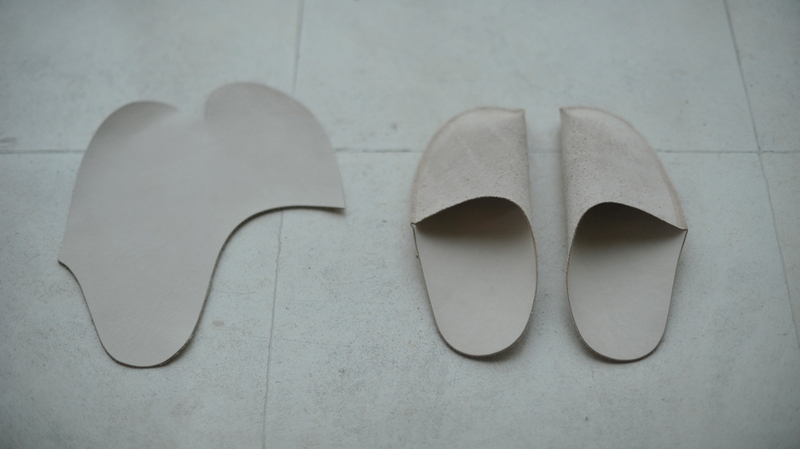 One piece of leather, with only one line of stitches, made into slippers. 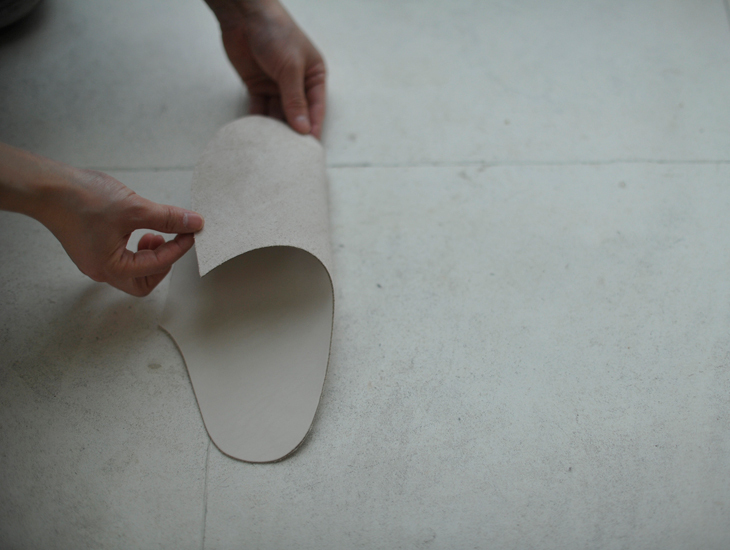 The leather evolves into your foot shape over time. 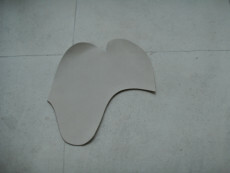 while the underside of leather is used on the outside to prevent slipping on the floor. Once you put the slippers on, you'll find that they fit on the top of your feet naturally. 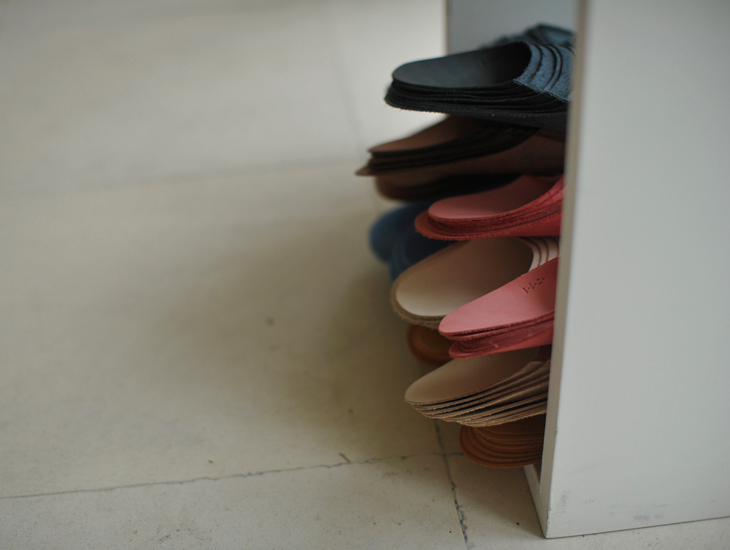 They will give you the distinctive comfort of one-piece leather. Recommended for travel and take-along as they are light weight and easy to carry. ・Designed with a low arch and a slight of width. ・It's recommended to choose one size up according to what you wear underneath or the shape of your feet. 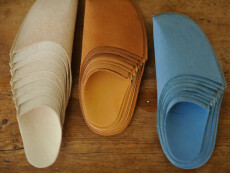 ・The leather is tanned with vegetable tanning which retains the leather's original texture. 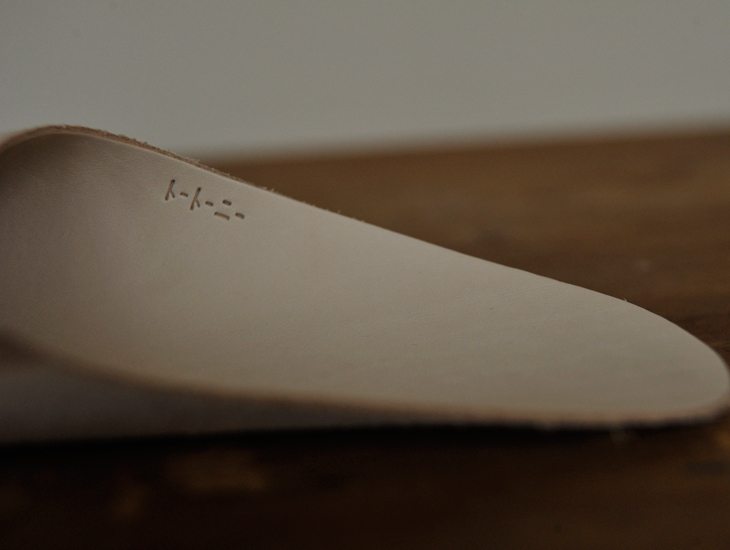 ・The leather of the sewn part is thinly shaved off. The color difference caused by this is a part of design. 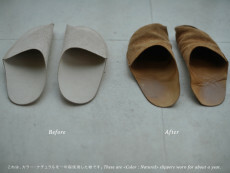 ・It's recommended to use a suede brush for a daily care. 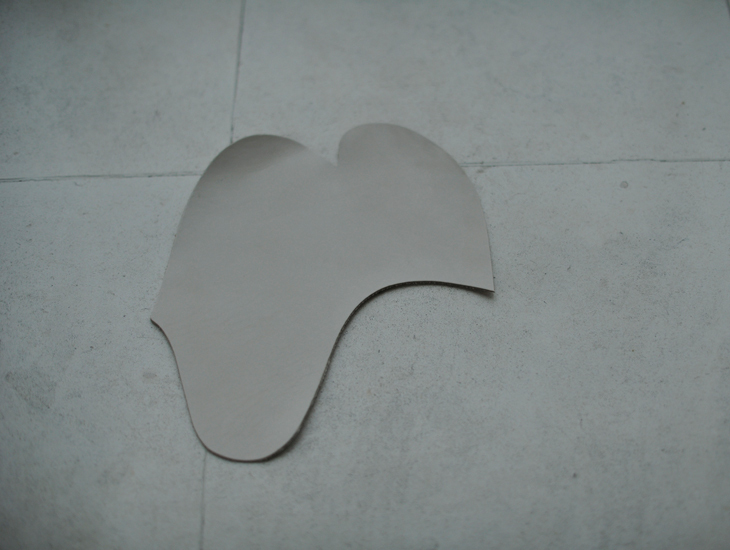 ・To prevent the swede from slipping on the floor, bristle up the leather coat using a brush. ・Washable. We recommend you use specialized cleaning products, such as suede shampoo. 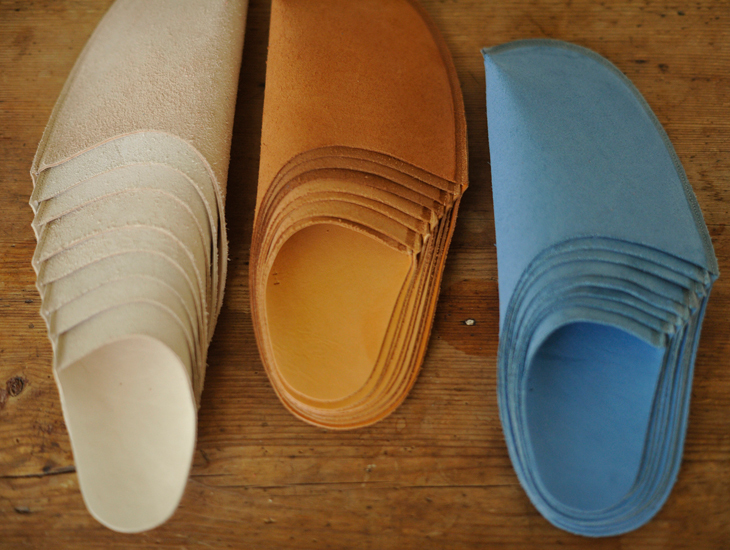 *However, it is difficult to remove stains completely from the surface of leather (as used on the inside of our slippers).